shirt got too short? you can fix that and make it stylish! Back in May I posted about having few too many tops that are a bit too short. Fact: I can't believe summer is gone and I managed to restyle only one... until last night. The Palmer Harding FW2012 collection was the perfect inspiration. 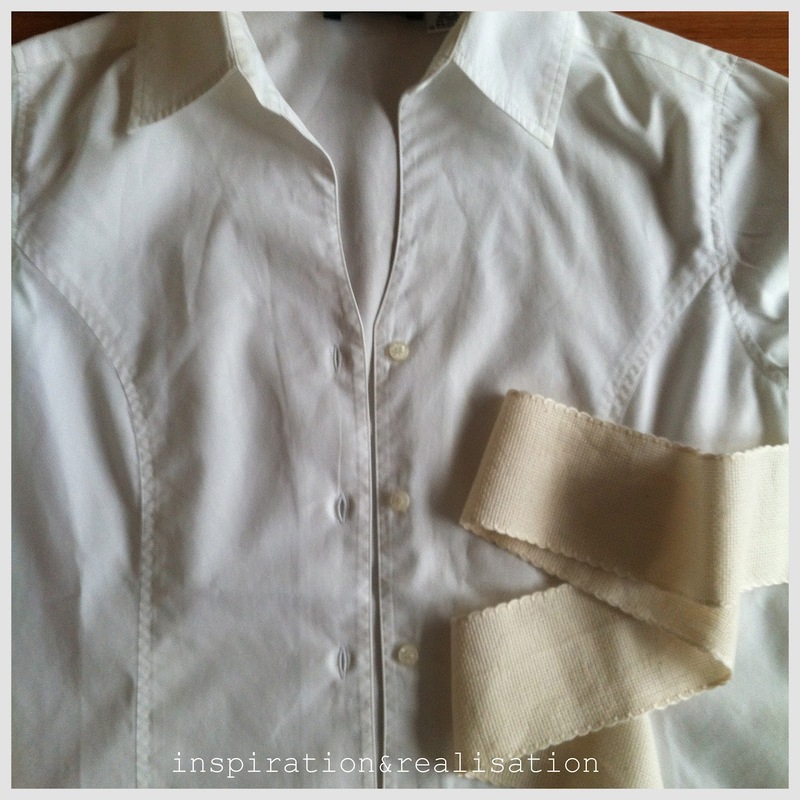 I knew I was going to save my pretty crispy white shirt the minute I saw Style Bubble's post about these white shirts with a contrast neutral insert. I choose the Aida cloth ribbon rather than grosgrain because I wanted something with the same width of the distance between the buttons, and I couldn't find grosgrain of the same size. 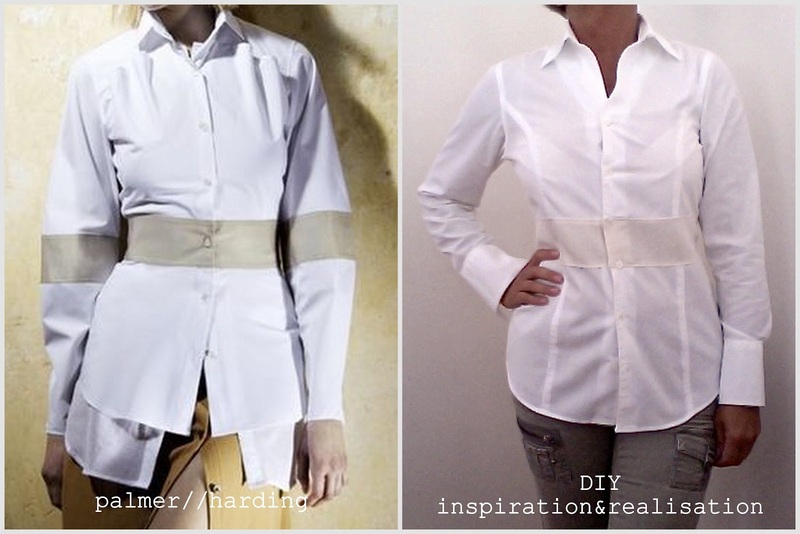 It's important to have the same width, so that the final shirt won't look weird with buttons at odd distance. It's about measuring right and paying attention! The whole thing took me about one hour. 1* pin your waistline: it should be at the same level as one of the buttons. 2* remove the button at your waistline and remove also the extra button that should be hidden on the inside, you'll need this later! 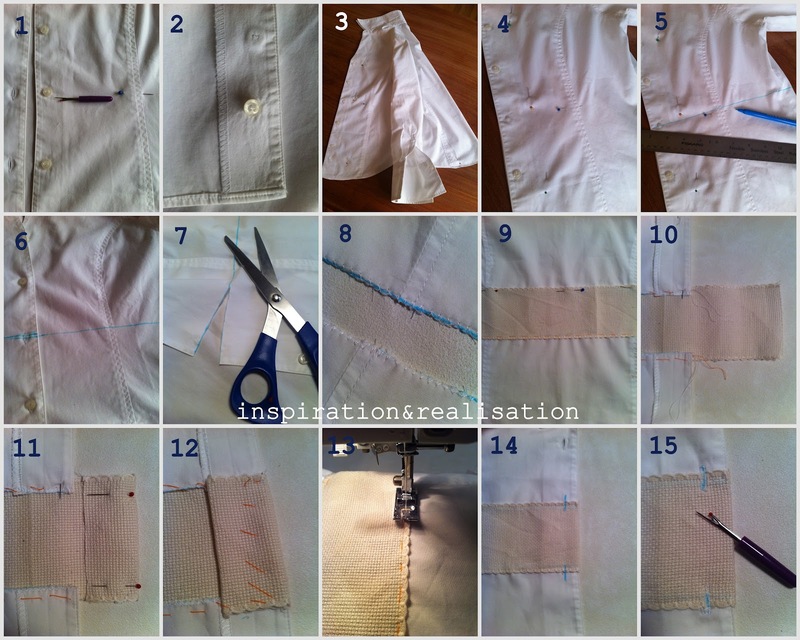 12* and fold it again: it should match the folded part where the buttons of the shirt are. ... now sew back the two buttons on the other side and it's ready! LOVE this DIY idea. 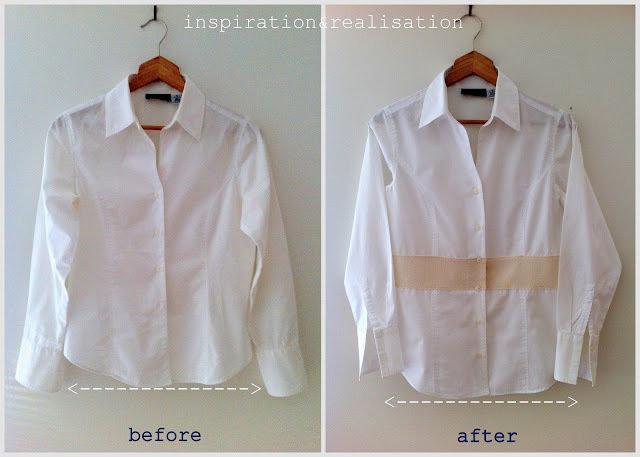 Makes the white blouse so much more desirable! Thanks for sharing. Really a great idea, D!